So this is a non beauty related post but I thought I would share with you one of my favourite things to do in Dubai at the weekend-Friday Brunch. I have lived and worked in Dubai for the past 8.5 years. Our weekend is Friday/Saturday-I guess it took some getting used to at first but now it's the norm. Friday brunch is somewhat of an expat institution-the basic concept is 5 star hotel, 1-4pm on a Friday, as much food and drink as you can consume. There are party brunches, sophisticated brunches, family brunches-everyone is catered for somewhere. 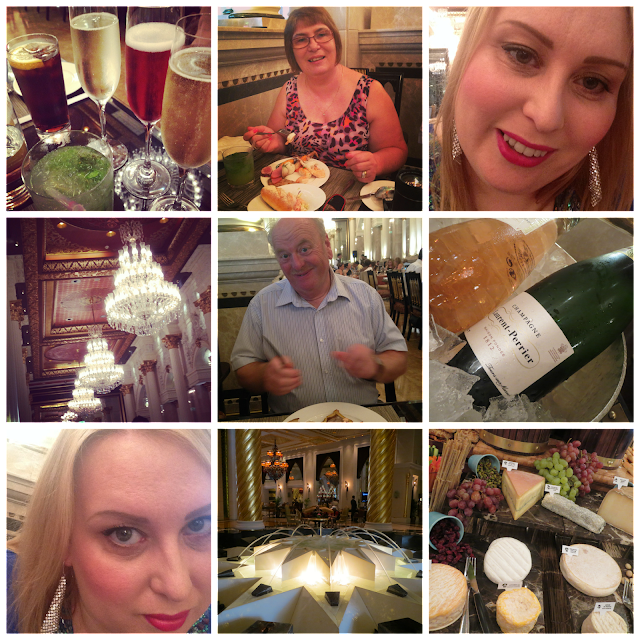 Known as 'Champagne brunches' generally because of the amount of free flowing champagne included in the price. Dubai is expensive-especially for alcohol which is not surprising as this is a Muslim country. Champagne brunch at the best hotels costs around £100 a head. That may sound expensive but if you were to have a 3 course meal with a bottle of wine you would pay more than that per head in Dubai. I actually still believe they are good value-even though when I moved here they were £40 a head. 8 years ago brunches were very much a Dubai expat thing-but I think more and more tourists now go because I have seen them talked about a lot on Tripadvisor. I know expats who do brunches every Friday but for us its a special treat and something we always take visitors to. I don't believe we have had any visitors who haven't loved it. The quality of the food is amazing and plentiful-Dubai doesn't do things by half. 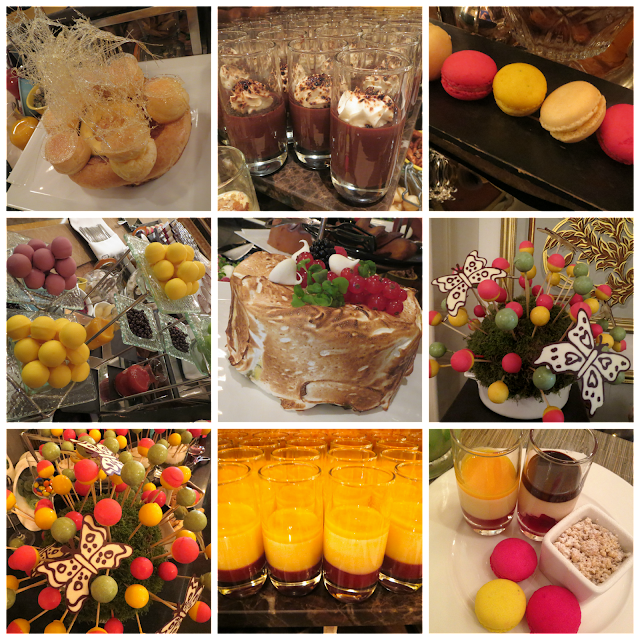 Today we went to the Jumeirah Zabeel Saray hotel on the Palm for their Imperium Brunch. It was the first time I had been to this brunch but I wanted to treat my parents and they have been to Dubai more than 20 times now and done many of the brunches already. The Zabeel Saray is inspired by the Imperial Palaces of the Ottoman Empire and is very opulent and stylish. The brunch had a very 20's, Gatsby feel to it-it was a really nice, relaxed environment with a live band. I think we'll definitely be back. This is only a very small selection of what was available today and hours later we're all absolutely stuffed. 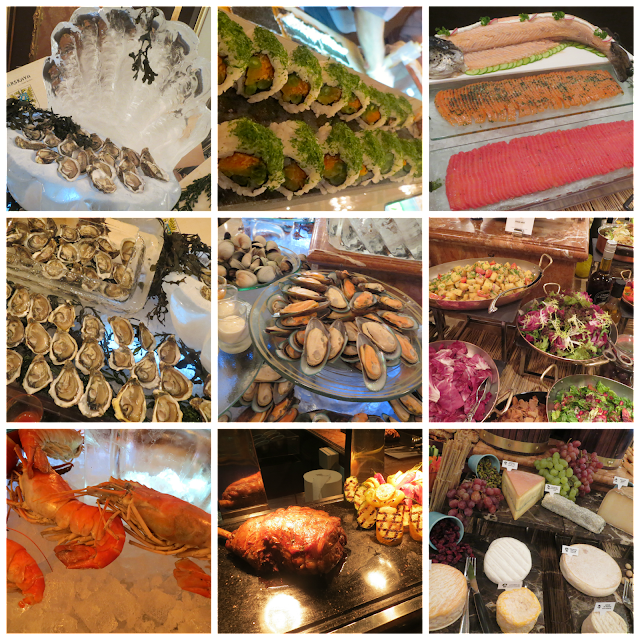 If you're visiting Dubai I highly recommend marking out your Friday afternoon to sample the delights of the Friday Brunch!